Patrick ‘Paddy’ Rowe is one of Australia’s most exciting young cricketers. 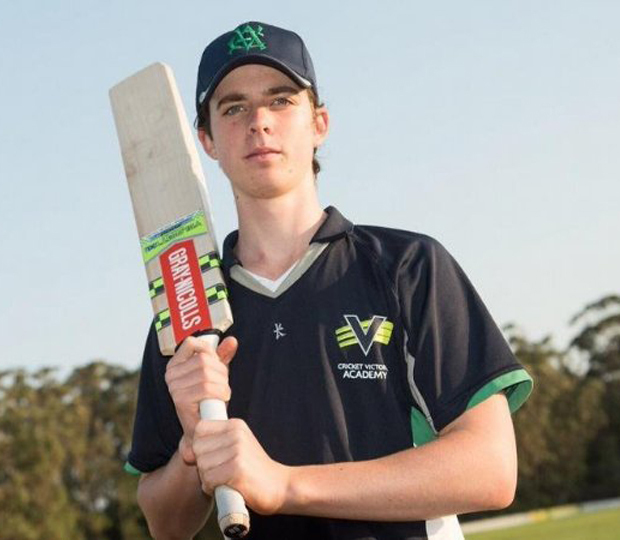 A member of the Cricket Australia U17 team in the 2017 U19 National Championships, Patrick burst on to the scene at the U17 Championship in 2016 where he peeled off consecutive scores of 72, 58, 65, 40 and 78, for a carnival aggregate of 327 (at an average of 40.88). He debuted in Victoria’s Premier League aged just 15, the youngest debutant at that level in 14 years. Patrick is an articulate, modest and well-presented young sportsman with a bright future; a young man who will continue to work hard to achieve his dreams. Patrick is supporting Patrick in his future endeavours.